(866) 343-0328 Who Am I Calling? Cardiac injury from Onglyza or Kombiglyze XR? Onglyza and Kombiglyze XR lawsuits blame the drugs for causing cardiac injuries. In February 2018, a federal panel consolidated cases against Bristol-Myers Squibb and AstraZeneca in federal court in Kentucky. 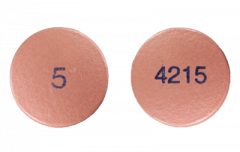 People suing Bristol-Myers Squibb and AstraZeneca over Onglyza (saxagliptin) and Kombiglyze XR (saxagliptin and metformin HCI extended release) allege these drugs caused serious cardiac complications and sometimes death. Bristol-Myers Squibb and AstraZeneca ignored patient safety and began selling Onglyza and Kombiglyze XR in 2009 and 2010 before completing a study recommended by the U.S. Food and Drug Administration to assess cardiac risks in the Type 2 diabetes drugs, according to lawsuits. After the companies finally conducted the study and found the drugs increased the risk of heart failure, the FDA released a Drug Safety Communication on April 5, 2016, to warn the public about the risk. But the warning may have come too late for hundreds of thousands of patients already taking the drugs for years. According to the FDA, about 386,000 people took the drugs in 2015 alone. In addition to cardiac problems, some earlier lawsuits also alleged these two drugs could increase the risk of pancreatitis, or inflammation in the pancreas. There are currently no class actions for Onglyza and Kombiglyze XR, but 226 individual cases involving heart failure were pending in the U.S. District Court for the Eastern District of Kentucky as of April 2019. The litigation is ongoing and there have not been any publically announced settlements or jury verdicts. There are several side effects linked to Onglyza and Kombiglyze XR, but lawsuits allege saxagliptin, the drugs’ active ingredient, can cause heart problems and death and drugmakers failed to warn doctors and patients of the risk. Attorneys are currently focused on cases from people who suffered heart failure or congestive heart failure between July 2009 and April 5, 2016. On Feb. 2, 2018, judges consolidated cases for heart failure, congestive heart failure, myocardial infarction and cardiovascular injury from 23 districts into multidistrict litigation (MDL) No. 2809. MDL 2809 is in the Eastern District of Kentucky, and Chief Judge Karen K. Caldwell is presiding over the cases. There is also a motion seeking to consolidate cases in California State Court. The first bellwether trial is not expected until at least October 2020. The first lawsuits involving these drugs alleged pancreatitis. A federal judge in California granted AstraZeneca’s motion for summary judgment in May 2016 and dismissed the claims of 14 people who alleged pancreatic injuries, including pancreatic cancer. “No similar claims remain actively pending in any U.S. jurisdiction,” according to AstraZeneca’s 2016 Annual Report. 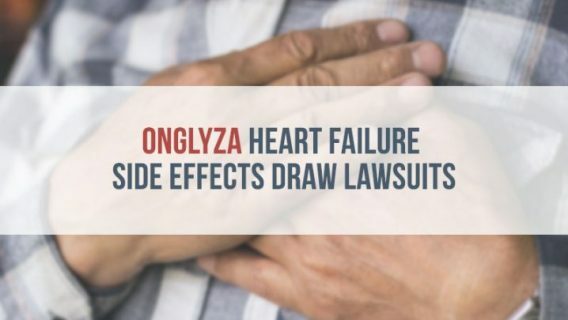 Plaintiffs allege the manufacturers of Onglyza and Kombiglyze XR failed to warn about heart failure, congestive heart failure, cardiac failure and death, despite clinical trial findings and FDA Advisory Committee recommendations for a warning. They also say manufacturers did not perform adequate studies to determine if Onglyza and Kombiglyze XR may increase risks of cardiovascular-related adverse events. Because people with Type 2 diabetes are at increased risk for heart problems, the FDA released a 2008 guidance stating manufacturers should be able to demonstrate their drugs do not increase this risk. But, lawsuits say, drugmakers started selling Onglyza in 2009 without studying the risk, despite the 2008 guidance. Then, they began selling Kombiglyze in 2010. Still, they failed to assess any possible risks, lawsuits say. Almost five years later — after making substantial profits — drugmakers finally conducted the cardiac safety studies required in 2008, lawsuits say. The companies conducted a trial called Saxagliptin Assessment of Vascular Outcomes Recorded in Patients with Diabetes Mellitus — Thrombolysis in Myocardial Infarction 53, or SAVOR for short. Researchers found a “statistically significant” increased risk of heart failure connected to the two drugs. The trials found about 35 out of every 1,000 people who took Onglyza or Kombiglyze XR ended up in the hospital for heart failure versus 28 out of 1,000 for people who took a placebo. In spite of study findings and a FDA panel ruling, defendants continue to put patients at risk, plaintiffs say. Wilma J. Sexton filed her lawsuit on Aug. 22, 2018. She took Kombiglyze XR from December 2011 to July 2018. She suffered heart failure after taking the drug. Dennis Turner filed his lawsuit on Dec. 12, 2017. He took Onglyza from September 2012 to August 2015. In October 2014, he suffered congestive heart failure. John Wesley Hunt Sr. filed his lawsuit on Oct. 25, 2017. He took Onglyza and/or Kombiglyze XR from September 2015 to April 2017. He suffered myocardial infarctions and congestive heart failure and ended up in the hospital in November 2015 and again in January 2016.